Green tea, although linked to many health benefits for centuries, has only recently been investigated scientifically. Science tells us that tea’s health benefits are mainly due to its high content of flavonoids. Flavonoids are a diverse group of plant chemicals found in almost all fruits and vegetables and are, in part, responsible for their vivid colors. Flavonoids are powerful antioxidants with anti-inflammatory and immune system benefits, suggests Livescience. In fact, diets rich in flavonoid-containing foods are sometimes linked with cancer, neurodegenerative and cardiovascular disease prevention. Green tea is also the best food source for catechins. Catechins are a type of flavonoid that are more powerful than vitamins C and E for preventing oxidative damage to cells. Which is likely why early clinical studies suggest that green tea may play an important role in the prevention of cancer according to The University of Maryland. In fact, studies from the Department of Dermatology at the University of Wisconsin have found an association between consuming green tea and a reduced risk for several cancers, including skin, breast, lung, colon, esophageal and bladder. Drink three cups of green tea per day to get the most health benefits. If you’re drinking two to three cups of green tea a day, you’re on the right track to maximizing all the healthful benefits it can provide. Harvard Health recommends drinking one cup of tea a few times a day to absorb antioxidants and other healthful plant compounds. In fact, cultures who normally consume tea usually drink three cups per day. The University of Maryland recommends two to three cups of green tea per day (for a total of 240 to 320 milligrams of polyphenols). Dr. Zuo Feng Zhang, a cancer epidemiology researcher at UCLA, also recommends two to three cups a day. But he tells us to stick with teacups, not mugs. Although his research relates to stomach cancer, Dr. Zhang tells Newsweek that drinking as much as four to five cups per day will help reduce disease susceptibility even more! Just make sure to steep your tea for at least three to five minutes to bring out the powerful catechins. You’ll reap the most nutritional benefits by drinking freshly brewed tea. Unfortunately, bottled ready-to-drink teas and instant teas have far less of these healthful compounds. If you’re drinking large amounts of caffeinated green tea for long periods of time you may experience irritability, insomnia, heart palpitations and dizziness, says the University of Maryland. Too much caffeine can also cause nausea, vomiting, diarrhea, headaches and loss of appetite. 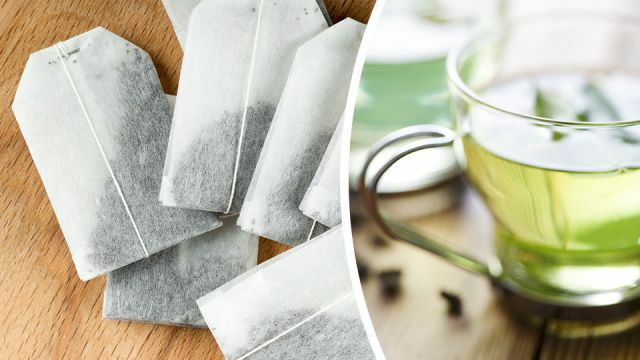 If you’re drinking so much green tea that you start to vomit or have abdominal spasms, you may have overdosed on caffeine and are experiencing caffeine poisoning. Lower your caffeine immediately and see your doctor! How does decaf green tea compare to caffeinated versions? 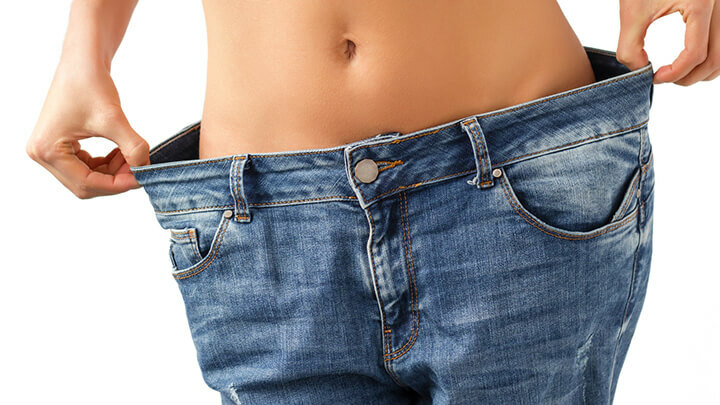 Research has shown that decaf green tea may help you lose weight. For those sensitive to caffeine or who just want to enjoy a healthy cup before bed, the good news is, green tea does come decaffeinated. Although the process that removes the caffeine from green tea also removes some of the healthy compounds, decaf still contains healthful benefits. The flavanol content of regular teas vary between 21.2 to 103.2 milligrams per gram, while the flavanol content of the decaf green teas range between 4.6 to 39.0 milligrams per gram. So, depending on the brand of tea, you may need to increase your cups per day for full benefits. In the end, green tea — caffeinated or decaffeinated — is a healthy beverage choice that can be enjoyed throughout the day to maximize its benefits. And if green tea reduces or replaces your intake of high-calorie, sugar sodas and fruit drinks, then all the better. Enjoy! 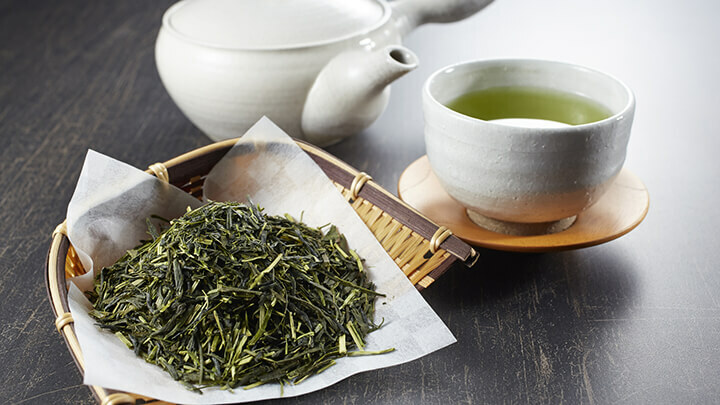 Hey Buddy!, I found this information for you: "How Much Green Tea Should I Drink Daily?". Here is the website link: https://www.thealternativedaily.com/how-much-green-tea-should-i-drink-daily/. Thank you.